Explore the uniquely inspiring and wondrous landscape of the Grand Canyon with National Geographic’s Trails Illustrated map of Grand Canyon National Park, North and South Rims. Expertly researched and created in partnership with local land management agencies, this map is designed to meet the needs of outdoor enthusiasts with unmatched detail of the heart of the park. 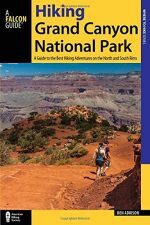 Key areas of interest featured on this map include Colorado River miles 60-98, North and South Rim visitor centers, Grand Canyon Village, Tusayan, Bright Angel Trail (plus elevation profile), West Rim Trail, Kaibab Trail, Arizona Trail, and more. 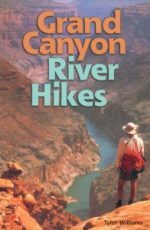 With miles of mapped trails in some of the most breathtaking scenery in the entire country, the Grand Canyon North and South Rims map can guide you off the beaten path and back again. Designed with a wide range of visitors in mind, this map features detailed and easy to read trails, accurate road network, campgrounds, scenic overlooks and points of interests, visitor centers and facilities, color coded bus stops with routes, plus park regulations, backcountry use areas, and contact information for local agencies. The map base includes contour lines and elevations for summits, passes and major lakes. 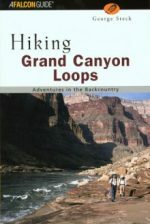 Other features found on this map include: Grand Canyon National Park, Kaibab National Forest, Little Colorado River, Marble Canyon.